Send your belongings to and from the University of Minnesota with My Baggage! If you’re off to study at University of Minnesota, My Baggage can help you transport your luggage to your new home on campus quickly and safely. We provide a fast, low cost and convenient college shipping service straight to and from the University of Minnesota! No matter where in the world you’re travelling from, My Baggage can help you with your luggage. 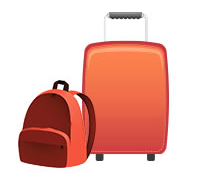 We offer a door to door luggage delivery service, complete with online tracking. The flagship University of Minnesota Twin Cities is the state’s land-grant university and one of the most prestigious public research universities in the nation. Minnesota is one of America’s Public Ivy universities, which refers to top public universities in the United States capable of providing a collegiate experience comparable with the Ivy League. Founded in 1851, UMN is categorised as an R1 Doctoral University with the highest research activity in the Carnegie Classification of Institutions of Higher Education. Fun fact: The world’s very first kidney-pancreas transplant took place at UMN in 1966. My Baggage allows you to ship a massive 66lbs per suitcase at fantastic low rates. You also have the option to pay extra for even heavier bags if you need to. In fact, if you’re travelling to college by flight, My Baggage is the perfect alternative to airline baggage. Our secure, easy to navigate online booking system is available 24/7 and takes just a few short moments to complete. Simply start by getting a quote straight from our homepage. Once you’ve booked, we’ll send you some labels to print and attach to your items. After that, we’ll collect your items and deliver them straight to where they need to go. At My Baggage, we aim to make your big move to college as stress-free as possible so that you can enjoy this brand new chapter in your life right from the get-go. That’s why we offer a convenient door-to-door collection and delivery service to make the whole process of moving your stuff as smooth as possible. There’s no need for you to leave your stuff off at a drop-off point, or to venture out to collect it. We’ll take care of it all for you! If you are living in dorms on the UMN campus, items will be collected from and delivered to the main reception area or designated postal room. However, we do recommend that you double-check this with your college before booking your My Baggage shipment. At My Baggage, we understand that shipping times are a main concern for students. No one wants to be left waiting weeks for all of their belongings to arrive. That’s why we provide super fast shipping times to and from the University of Minnesota. We offer fantastic express services for both domestic and international shipments. Get a quote to view your estimated delivery. 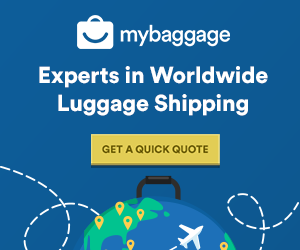 My Baggage offers international student shipping to over 200 countries worldwide! So, if you’re an international student arriving to study at the University of Minnesota, or are heading abroad to study elsewhere for a year, you can send your luggage with us!